Hey guys, I know you will all be watching the Super Bowl but I wanted to do something fun and try to carve an iPhone using the CNC. 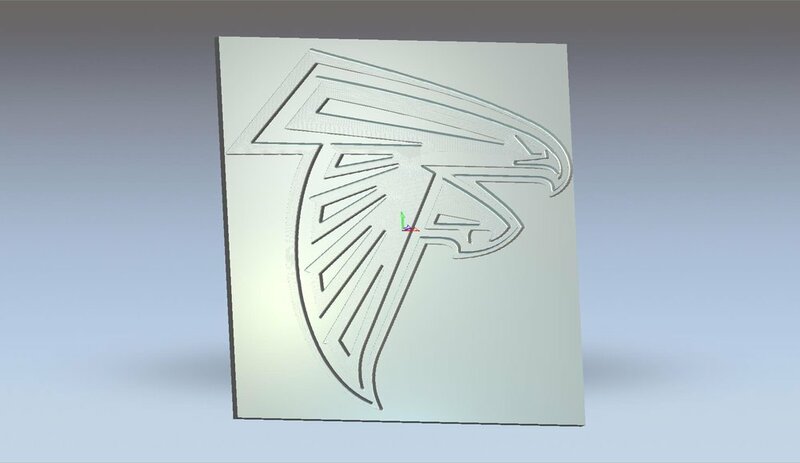 My thought was, why not use the Atlanta Falcons logo? lol. It was a good proof of concept. In the future I think I could slow down the bit's feed rate to get a smoother cut. I was getting some chatter at the speed I was trying to run it at. Also the 20deg V-bit isn't the best for an operation like this but that is what I has to work with.